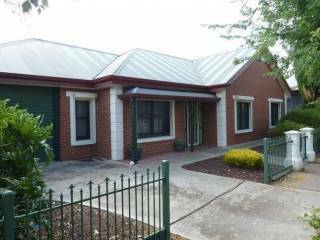 Accommodation in the Adelaide, SA region. Book holiday houses and apartments for rent or browse towns for accommodation. 170 properties found in this region. Showing 1-120 out of 335 places found in this region. Near new home with a genuine feeling of comfort and space. All rooms are spacious, with main bedroom with ensuite, 37 inch LED LCD TV with Blu Ray, walk in robe and pleasant outlook. 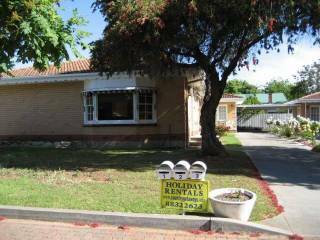 Self contained, self catering, 3 bedroom house; close to amenities and the city centre. Fully furnished and equipped Studio and Deluxe One Bedroom Apartments, located in a quiet residential street in North Adelaide only a 2 minute walk to shops, restaurants and transport in cosmopolitan Melbourne St. FREE WiFi. 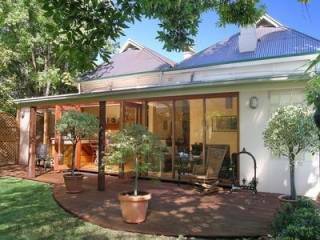 Prospect Place caters well for country people staying in Adelaide, and is a home away from home. 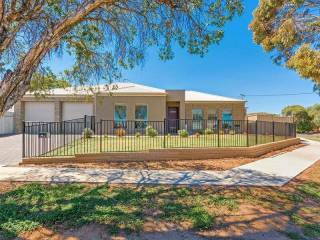 Ideally located in Prospect, it is a 10 minute car drive or bus ride to Adelaide’s city centre, and approximately 15 minutes to the airport. A warm and cosy 3 bedroom house, comprising of 2 queen beds and 1 single bed. The master bedroom has a built in robe and a 2 way bathroom ensuite. The house is fully ducted reverse cycle heating and cooling to enjoy the comfort all year through. Fully serviced one bedroom apartment accommodation for rent in North Adelaide. All facilities included for self-catering, and ideal for short- or long-term corporate or holiday stays. These beautifully furnished and spacious rental apartments in North Adelaide are modern with contemporary designs. Enjoy the city-living lifestyle in these exclusive and individually designed self-catering studio and one & two bedroom accommodation. Unique heritage self-contained non-smoking accommodation spread throughout the city. Enjoy cosy cottages faithfully restored and furnished with antiques. Tour desk in all cottages and suites, complimentary car parking and courtyards available. 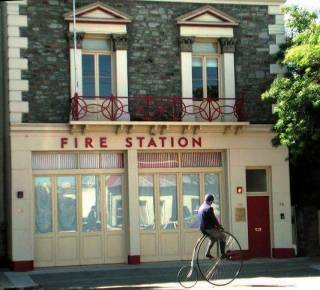 The Fire Station Inn c1866, was originally Adelaide's first Fire Station and has now been converted into unique and luxurious spa accommodation. The apartments One and Two Bedroom Apartments and separate bathroom with shower, have a designer kitchen, and are fully equipped for a self-catering short- or long-term stay in Adelaide. Absolutely breathtaking! Refined elegance and style are reflected in every element and feature of this 2 bedroom and bathroom (including a bath) plus second toilet, self contained luxurious townhouse in lovely North Adelaide. Roomy 1 and 2 bedroom apartments with everything needed for short- or long-term stays with king-size beds that can be split . WiFI, FOXTEL premium channels, limited secure parking. 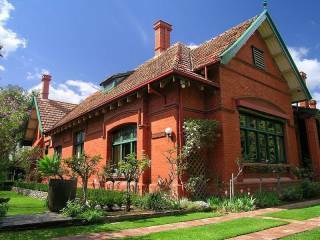 Close to Adelaide CBD, Fringe Festival venues and Adelaide 500 circuit. Absolutely breathtaking! Refined elegance and style are reflected in every element and feature of this 2 bedroom self contained apartment in the heart of the East End of Adelaide only seconds away from Rundle Street and all its delights. Refined elegance and style are reflected in every element and feature of these 2 and 3 bedroom self contained apartments in the heart of the East End of Adelaide only seconds away from Rundle Street and all its delights. This beautifully appointed apartment with polished Jarah flooring throughout and it offers every luxury and amenity you could imagine and it is ideal for family holidays, extended stays and romantic getaways.